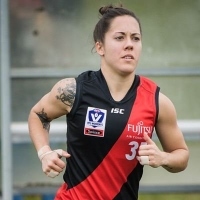 Sarah Black has written this excellent article on the www.afl.com.au website that looks at some of the motivations many women have had to embrace Australian Rules football. 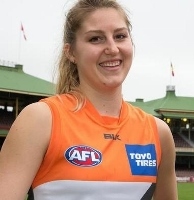 He article provides excellent snapshots through the eyes of women now playing – or about to play – in the AFLW, and as such is a great story of inspiration for future players. "In the States, because it's such a new sport, (those involved) are so welcoming, because they want to bring people in. Most people are like, 'What the heck is thisω' and you have to convince them to try it. People are just so welcoming, and I made best friends through football. "I don't have the network other players might have. So, I have no idea if I'll get drafted, but I'd be absolutely over the moon if it happened.